Buddy, formally known as Simmie Sims, is a spitfire from Compton ready to win over the ears of a new generation of hip-hop enthusiasts. Opting to forsake adversity, Buddy committed to utilizing music and the arts as an opportunity to channel his creativity and pursue his rap dreams. Battling it out in the LA entertainment scene, he’s performed at a myriad of industry showcases since the budding age of 11 and spent a brief time writing and performing in a rap group. 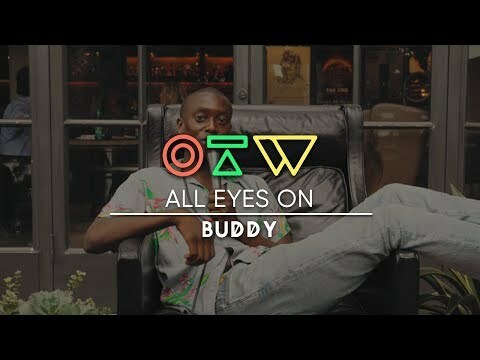 Buddy ignited a fire for success citing Kanye West and Pharrell as early influences and perked the ears of DJ Casanova who helped him cultivate and refine his style. Buddy eventually caught the attention of Pharrell, who mentored his growing skill and consequently produced his debut track “Awesome Awesome” with the Neptunes. Buddy has a youthful and fresh approach to creating a new flavor of hip-hop. February 8, 2019 New music from Conan Gray, Sinead Harnett, Buddy and more. December 26, 2018 Happy New Year from the entire team at Ones To Watch! November 6, 2018 Get inspired you while you’re waiting to fill out your ballot. July 20, 2018 The young rapper is currently at almost 2 million monthly listeners on Spotify and getting recognition from Snoop Dogg, Pharrell, A$AP Ferg, Khalid & Wiz Khalifa. July 19, 2018 + a helpful playlist to get your pregame started right. June 19, 2018 A selection of funk featuring Tove Styrke, Winston Surfshirt, Woodes, Boogie, Buddy & Jay Prince.